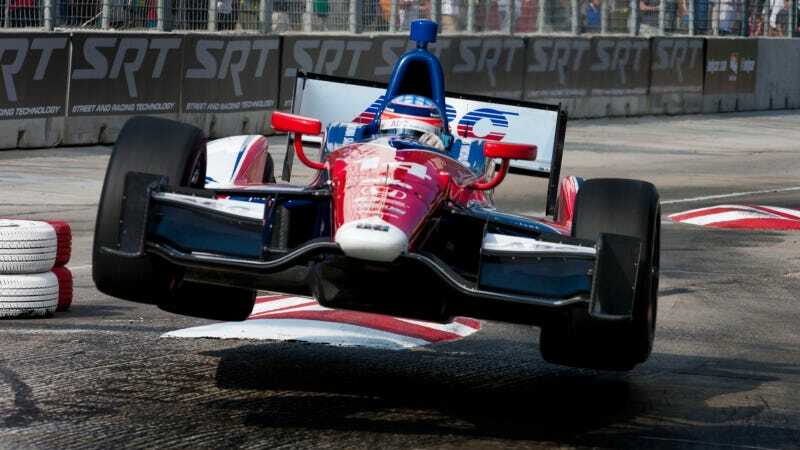 IndyCar, Indy Lights and ALMS came to the streets of Baltimore this weekend, and they brought plenty of drama, crashes and air with them. Hopefully you watched at least some of the Grand Prix of Baltimore's high-octane festivities. In case you missed it, here are some of the best shots from photographer Damien Harvey, who was dispatched by Jalopnik to capture the action. Harvey is a longtime amateur racing photographer based in D.C. (Full Disclosure: he's also my neighbor) and he got some amazing shots over the course of the weekend. I like all the airborne photos he got. Staying grounded to the ground is overrated anyway. Were you in Baltimore for the Grand Prix? Let us know how it went.